This is Goldie. 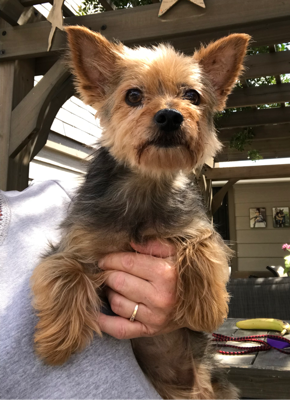 She is a 7 year-old Yorkie. She is needs to lose some weight. She is friendly, likes to go for walks and likes to be held. Goldie is looking for a loving home.